New Evidence Ties Illegal Antiquities Trade to Terrorism, Violent Crime, an article on the National Geographic website by Heather Pringle, has just come out featuring the Trafficking Culture team. 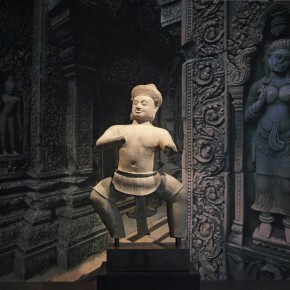 Also, as an added bonus, an article by Simon Mackenzie and Tess Davis in the British Journal of Criminology is out, open access: Temple Looting in Cambodia: Anatomy of a Statue Trafficking Network. Just a short hello from Geneva where I am being Anonymous and Swiss!